Ross Baker, PhD, teaches and carries out research on patient safety, quality improvement strategies and leadership and organizational change. He is also Director of the MSc Program in Quality Improvement and Patient Safety. Among his recent research projects are a study of patient engagement strategies in a number of leading organizations in Canada, the US and the UK; an assessment of governance in Ontario Primary Care Organizations; an exploratory study of contributing causes for medication and fall incidents in home care; and a synthesis of literature on physician engagement in healthcare organizations. Dr. Baker led a study of effective governance practices in improving quality and patient safety in 2009. Results from this study served as the basis for the Governance Toolkit (Effective Governance in Quality and Patient Safety) and a course for trustees developed by the Canadian Patient Safety Institute and Canadian Foundation for Healthcare Improvement (CFHI). Dr. Baker, together with Dr. Peter Norton of the University of Calgary, led the Canadian Adverse Events study, which was published in 2004 and earned them the CFHI Health Services Research Advancement Award. 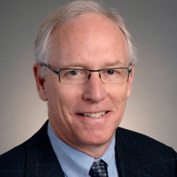 Dr. Baker has been a member of the board of the Health Quality Council in Saskatchewan since 2005. He chaired an Advisory Panel on Avoidable Hospitalizations for the Ontario Ministry of Health and Long Term Care whose report was released by the Ministry in November 2011. He also served as a member of the King’s Fund (London, UK) Commission on Leadership and Management in the National Health Service (NHS) in 2010-2011 and has been a member of the Improvement Science Development Group of the Health Foundation in London since 2011.